Description: TSAL169 - Fierce Twins Garden Sculpture - Fierce Twins, are one of those marble statues life size that can be bought as marble statues wholesale. As marble arte creations, you can set them up as a ferocious sculpture for home, or as a yard statue, garden ornaments, or as a creative sculpture to fill those large spaces as landscape sculptures. 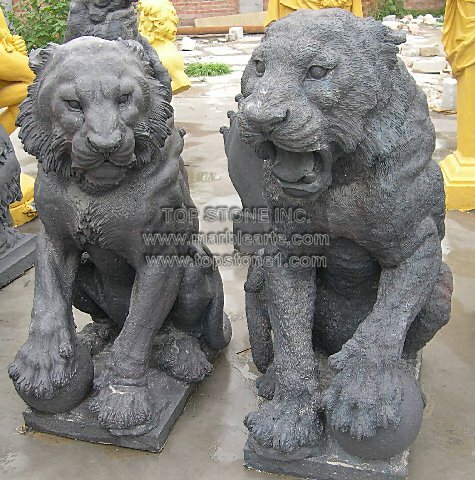 Buy one of these big cat garden statues today if not for its design, then for its fine marble décor.